The embassy of Ukraine in France has asked the French TV channel Canal+ not to air the documentary about the maidan on February 1. The statement was posted on the Facebook page of the embassy, news agency RIA Novosti reports. “This isn’t pluralism in the media, this is deceit, and we recommend Canal+ channel to reconsider the airing of this film,” the statement reads. The Ukrainian embassy has also stated that it offered its own selection of documentaries on the events in Ukraine to the French TV channel, “in the hope that one day these movies will be presented on air of Canal+“. The annotation to the movie “Masks of Revolution” on Canal+ website states that the documentary is a special investigation of the events in Ukraine in February 2014. In particular, the documentary talks about the Nazi groups supported by the USA, as well as the massacre in Odessa committed by Ukrainian nationalists. “Paul Moreira unmasks the modern day Ukraine and conducts the investigation on the frontline of the new Cold War between the East and the West,” the website announces. 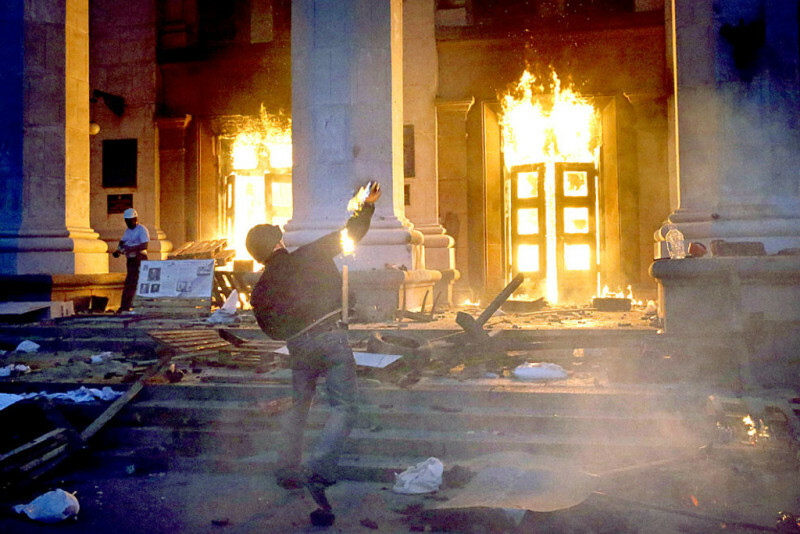 The director of the documentary, the well-known TV journalist Paul Moreira, has told RIA Novosti that he wanted to get to the bottom of the reasons of Odessa massacre: “It was completely slurred over in Europe, nobody knew about it, including me. When I arrived there, I was stunned — 45 murdered in the middle of Europe and nobody knew!” The journalist talked to representatives of “Azov” regiment and “Right Sector” neo-Nazi organization, as well as studied the influence of the USA on the events in the country. This entry was posted in News from Ukraine and tagged euromaidan, fascism, France, May 2 2014, Odessa, Right Sector, Ukraine. Bookmark the permalink.